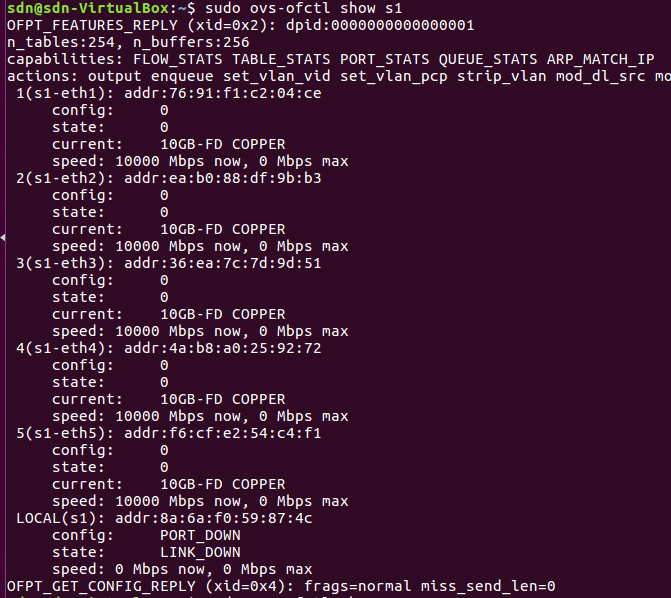 And checked using the sudo ovs-offctl show s1 command. But the port and link to LOCAL(s1) are down. I have to use this LOCAL(s1). How do I activate ports and links on LOCAL(s1)?